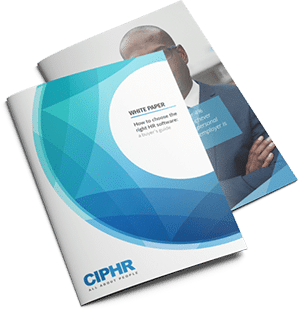 CIPHR webinar – Health and safety – what’s changing? David: Hello, everyone, and thank you for joining us for today’s webinar about “The Changing Health and Safety Landscape” and the difference that specialty software can meet your health and safety initiatives. My name is David Richter. I’m the head of marketing at CIPHR. And we’re joined today by Simon Cook and Julian Taylor from SHE Software. For those of you who don’t know CIPHR, we developed SaaS HR and recruitment systems that help organizations to attract, engage, retain, and manage their workforce across the whole employee lifecycle. In June this year, we launched CIPHR Connect, which is an ecosystem of specialist applications that integrate seamlessly with CIPHR’s powerful HR and recruitment solutions. And we’re pleased to include an integration with Assure [SP] from SHE Health and Safety Software as one of our integrations. And for now, I’m going to hand over to Simon Cook from SHE Software. Simon: Thanks, David. Good morning, everyone. So I’m the strategic alliances manager at SHE. So I manage the relationship between CIPHR and SHE. We’re gonna talk a bit today about our highly configurable software as a service solution, Assure, which has been designed to keep the user experience simple but provide an easy way to track, manage, and report on health and safety compliance across your organization. So we’re headquartered up in Glasgow, but we’ve also opened offices in the U.S., in Chicago, and New Zealand. Our team are all NEBOSH or IOSH trained, so we can talk to you about not just about software, but also about your general health and safety management needs. And we’re trusted by over 800 global organizations. And we’ve got now over half a million users. And this combination of things means we’re growing really quickly. So we’re growing more than 50% a year. So I’m gonna talk to you today because I think increasingly, certainly my role, we’re seeing that HR and health and safety departments increasingly need to collaborate more. And that’s really the reason for our relationship with CIPHR, but also the reason for the webinar today. I think this is because of a number of drivers. One of which is regulatory. So we’ve got GDPR, which is something health and safety professionals probably need to know a bit more about. We can’t have sensitive health safety information flying around in unprotected spreadsheets and things anymore. But also the HR community, probably we need to be aware of some new health and safety sentencing guidelines that came in in February, which means that you can be sentenced now under the risk of harm rather than the actual harm. And also the fine is proportionate to turnover, and my colleague Julian will cover that in his presentation. There’s also some key operational drivers, so we don’t want this to be an admin burden. So both HR and health and safety looking to help their organizations be more productive and efficient. And I think a shared objective probably to drive cultural change within their organization be that general performance or safety performance. And this can be enabled by connecting up best of breed software as like CIPHR and SHE. So I’m gonna hand over to my colleague, Julian, who’s gonna expand on these issues. And towards the end, give you a look at the system. Julian: Thank you, Simon, for your introduction and good morning, everybody. So we’re talking about changing health and safety landscape. So how has the world changed? Well, the first thing I want to talk about is something that was introduced back in 2013, and it’s called Fee for Intervention. And normally, I would talk at this point and make an assumption that everybody knows about it. But I think it’s useful just to go through what the HSE definition is of Fee for Intervention. So Fee for Intervention, if you are found to be in a material breach of health and safety law, you will have to pay for the time it takes us to identify the breach and to help you put things right. This includes investigating and taking enforcement action. And it’s called Fee for Intervention. So that’s the HSE definition. One of the most important things as well as actually what it means, in reality, is that they will charge your invoice you at £129 an hour for that work. So what we can see straight away is that, A, could become costly, and B, that potentially it could become a revenue driver. It was spearheaded by Judy Hackett, the ex-head of the HSE. And I heard a talking about this at a seminar. And one of the things that she said is that Fee for Intervention will not go away. It will only be developed further. And since then, we’ve seen in the news that the HSE has been looking for and recruiting a commercial director to help reach revenue targets, one of which was £35 million. So naturally, there’s been a lot of discussion around Fee for Intervention since its introduction. Now, the other thing is, just to be realistic, the HSE suffers in the same way as lots of public bodies from central government budgetary cuts and constraints. So there’s absolutely no doubt that it’s gonna be looking elsewhere to generate and replace income. And then promote in various schemes including things like data analytics and shared research. But Fee for Intervention continues to be one of their key sources for revenue. So actually, if we get it wrong and we’re visited by an inspector, there will be a cost associated with that. Now, public funding accounted for 60% of the HSE’s budget in 2016 and 2017, and the remaining income comes from these executive activities that we’ve just talked about. So this is something that’s only gonna grow and it’s not going to go away. The next area where we see health and safety evolving is with the offense of corporate manslaughter, which came into force on the 6th of April 2008. And it was a bit of a slow burn at first, but it seems to be gathering some momentum. So if there’s been a gross breach of duty of care towards our employees and somebody is killed at work or injured at work, there’s a real possibility that a prison sentence or suspended prison sentence will be the outcome. And real sentences are being dished out now. So only recently, two bosses at a Greater Manchester construction company were jailed for 20 months after they covered up the events that led to a worker’s death in 2016. Another example is a golf company director who was jailed over the manslaughter of a man with learning difficulties who drowned in a lake as he was diving to find lost golf balls. So the ramifications of not getting it right are ever increasing. Now we move on to one of the most recent evolutions and this is sentencing guidelines. And this came into force in February 2016. And the key change here was the introduction of a formula that Simon touched upon that considers a level of culpability along with the likelihood and level of harm. But most importantly now, it will correlate and take into account a company’s turnover. If I put this slide up on the screen, so it goes up to 2016. But as you can see from the table, what we have is that there’s been a clear trend in terms of the size of fines over the last few years. 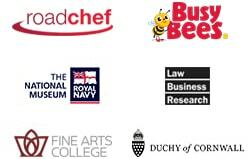 Some recent sort of high profile examples. One was Langer Rock, or two subsidiary companies of Langer Rock, who were fined £3.8 million when a worker was crushed underneath a concrete panel. And if you stop and think about this, actually just high profile nature of these cases and the fines, they’re just far more likely to hit the news. When we start talking about fines in the millions, people’s ears perk up and particularly the media want to talk about it. There’ve also been some recent cases involving household names like Aldi [SP], like Iceland, and these all hit the news. And when we start to think about that, again, this could potentially have a very negative effect on the reputation of your organization. Now, as HR professionals and safety professionals, I’d like to flip that slide in and like to think that we can see a positive view in the change in sentencing guidelines. And that’s that it just starts to send out some really strong messages to businesses that don’t take the right approach or take a pathological approach to safety. So I’m gonna make an assumption now that because you’re attending a webinar about safety, that you’ve got a good approach that there’s an interest there in improving and that you’re not pathological. So what we want to do today is thinking about how we can take a more proactive approach to safety. And I think it’s important to think about some questions. So the first one is how comfortable are you that you’re doing things in the most consistent way possible that supports compliance in your organization? So, again, this isn’t a poll, but it’s just making you think about where you are currently. Secondly, when we think about sort of safety, one of the key things we’re trying to do is follow best practice. So we can look at organizations, we can look at sort of auditing bodies and take the best, best way to do things and apply that to our organization. How comfortable are we that we’re currently doing that? And then one of the most challenging questions that we come across all the time is really how good is visibility? And what I mean by that is, is that simply how easy is it for you to see the things that are going on in your organization? Can you see what you are doing? Can you see what you’re not doing? And potentially where you could be improving. Now, when we think about this word compliance, there tends to be an assumption that this is very much a management activity and responsibility. Well, there is obviously an emphasis on management, but it’s also important to reinforce that actually safety comes from all levels of your organization. And actually, Simon touched upon the word culture earlier. And it’s one of the most fundamental things to improving safety in an organization is actually starting to when we look at that triangle, actually, everybody at every level is taking an interest in safety and supporting safety initiatives. But you will face challenges. And one of the challenges that we talked about is called organizational complexity. And when you think about it, you might have an organization with different teams that are then spread across multiple departments and different sites. When you consider those sites and departments, people might have instigated the use of different processes, different systems, different spreadsheets. If you then add in the fact that just of human beings and the confusion that they can add, actually, compliance can become a very challenging thing and actually that visibility, just understanding what’s going on, can be a real challenge to understand across your organization. So some of the key challenges that we face, well, first of all, just simply that when we go across those different sites and teams and departments, we might have lots of different forms just to do the same thing. So inherently, we’re not doing things in a consistent way. One of the key challenges we’re always talking about with customers and potential customers is just the fact that we don’t review things when we should. We miss review dates. Now, when we think about actually good safety and good compliance, key elements of that is continuous improvement. So actually looking at what we’re doing, checking upon that, recognizing where we can get better, applying those improvements and so on, and keeping it moving around in a cycle. So if we’re not hitting our review dates, we’re inherently, again, not doing that. And again, when we think about some of the fundamentals, things like a risk assessment, for example, actually what we should be doing on an annual basis is looking at it to see if through technological or substance or process changes, we can actually improve and make it safer the way that we approach a particular activity. Now, the next one, number three, is sign-off process. And I think this is really relevant, again, to our HR teams and our approach to, sort of, people. And then, actually, one of the key things we’re trying to do is to delegate activities downwards to our teams so that actually we empower people and we educate people and we engage them in sort of doing different activities. One of the key things that we need to do if we’re going to try to do that is actually give them a safety net so that they know that they can do this thing and somebody will check it before it’s actually put into practice. So if I’m asking somebody to start to do risk assessments, they know that somebody who’s competent will sign it off before it’s actually put into practice. So it gives people the confidence to do things. Number four is actually just we can’t get to information. Yep. So documents aren’t freely available because they’re sitting in a filing cabinet, or they’re sitting on a shared area somewhere. Again, commonly we find that people create lots of good information, but I just can’t get to it. And then number five, again, with our different teams, our different departments, our different locations, just common activities are all done differently. And inherently, if we’re doing that, actually, we’re wasting time and we’re spending a lot more time doing it because we’re not actually sharing information. And then the final one is actually, again, touching on this lack of visibility. And the critical thing here is that if I can’t see what people are doing, I can’t improve the situation. I can’t go and educate people and coach people if I don’t know what they’re doing and I can’t understand where we can improve. Now, finally, before we move to our last poll and have a brief look at the system, I think it’s really important when we’re talking with HR teams to think about our workforce and our culture. And there are lots of sort of themes and sort of trends in terms of the way that workforce is changing. But part of it is that we’ve got these different generations coming in. So millennials, generation Z. And they have very different expectations about the way that we do things.There’s just an expectation that things will be done using mobile devices. Apps are a way of life for people. So actually, why are we doing health and safety on pieces of paper? We should be tapping into that culture, which actually fits perfectly with health and safety because health and safety is a mobile activity. So it aligns to the mobile and the app culture that is very prominent. And then another part of that is that, equally, we commonly talk to our customers about the older people within their workforce who are quite happy to adapt and to change. But actually, it should be simple and easy. So those mobile apps should make safety a simple thing to do for all parts of our workforce. So the knock-on effect of all of this is potentially huge. If we’re inconsistent in the way that we do things, things are not of a suitable quality, what that does is it exposes an organization to potential litigation and to prosecution. But most importantly, it exposes our teams and our people to potentially being harmed and that’s the key thing that we’re trying to avoid. We’re gonna move in a moment to have a very brief look at the system. So you’ll notice we’ve moved away from the PowerPoint. And what I’ve done is I’ve moved into a demonstration version of our software. So what we wanted to do this morning was to give you a very brief overview of some of the things that we can do within Assure. And to start with, I’m gonna sort of talk through some of the key areas of the system. Now, where we are at the moment, what we’re looking at is what we would term the main application. And you can see at the top, we have a log out button. So what that tells you is that you need to log in. And to log in, you need a username, you need a password, and you need a license to access the software. Generally, this will be used by HR teams, health and safety specialists, managers, and supervisors, and directors across the organization. Within the main application, what we do is that we actually, if I go up to the top and an open up where it says “Head office,” we create an organogram of your organization within the software. What this then does is allows you to position users in their parts of the organization and define what they can see. And importantly, when we think about the sort of themes of today around consistency and best practice, it will then allow them to share information with their colleagues. Now, importantly, you can also sit at the top of the tree or you can move around the different parts of the tree to actually view different pieces of information in different areas of the organization. And what it starts to do is deliver that visibility of not only what’s been done but also how well it’s been done and how consistently it’s being done. If I close that down now, what I’ll do is head into an area of the system where we can see some records. So I’m gonna go to the “Modules” tab here. And I’m gonna go in and look at some risk assessments, so drop into “Activity Risk Assessments.” And what we have here is that we have a list of records. And again, based upon that tree, I’m only gonna see the risk assessments that are applicable to the area I’m sitting in. So because I’m at the top of the tree, I’m seeing all of the risk assessments for the organization at the moment. Now, when we think about some of the themes that we’ve talked about, some of the challenges that we’ve talked about today, let’s look at some of the key things that will help. So, first of all, we think about that continuous improvement and reviewing things, every single record has a review date. So if I highlight in pink that area there, you can see that we’ve got a review date here for the 15th of November this year. And what we can do is that we can set up that the review dates will be an automated part of the process. So it will prompt and remind people when reviews are due and prompt them to revisit things. We talked a bit about the safety net that we’re gonna provide for people so that we can delegate activities down to different levels of our organization and we can empower and engage other people in our safety processes. So, again, above the review date, you can see that we’ve got a green tick in this case. But this is part of a sign-off process that will allow health and safety manager or a line manager to be able to check the suitability and sufficiency of records that are being created. So this does a couple of things. Again, just to reinforce, it provides that safety net so that somebody can create a record and know that there will be somebody checking it before it’s put into practice. But importantly, when we think about our consistent approach, it allows the person who’s reviewing the record or approving the record to check that it’s been done in a best, best practice manner and also it’s been done consistently. Now, when we think about documents that can be particularly challenging. And as an organization, I’m sure that you will have lots of documents around safety. So policies, guidance, notes, and all these kind of things. And again, if you think about having lots of systems, we’ve talked about that already, disparate systems, clients end up with issues with documents being stored in local areas, or on sort of local computers, and then we end up with the wrong version being used. So what we have here is that we have a central repository within the system where safety policies and guidance notes can be stored. That means that there’s only one version in play at any one time. They can be attached to other records within the system. So if we need some supporting documents and we want to link it to, for example, this risk assessment, we can do that but also we can then publish them out to an employee portal and make them freely available to all of the people within our organization who need to be able to see that information. And now, again, when we’re thinking about best practice and thinking about doing things in a consistent manner, one of the things we should be considering is how we just simply help people to be able to complete those activities. So, again, when we’re delegating down to the lower levels within our organization, how do we help people to fill a form out, for example? So what I’ve done is I’ve just dropped into this risk assessment form that we were just looking at in the list view there. And a couple of key things to point out here are that the shaded areas that you can see is help and guidance notes. And, again, these can be inserted into the system against every field by your team with your specific guidance notes. And, again, when we think about the psychology of why people don’t engage with safety and don’t carry out activities or don’t fill forms out, very commonly, it’s just because of a simple, “I really don’t understand what somebody’s looking for here. I don’t want to look silly. And so I’m not gonna fill the form out.” So, again, we can put the notes in here, the guidance notes. It’s gonna guide people through the process. We can also mark fields as mandatory. So, again, we don’t get forms back with information missing. What this hopefully does, as well, is that because we only have one template to use and it’s a consistent template, again, we drive one approach across the organization, and it’s a consistent approach across the organization. Now, a key area to touch upon was we’re talking about the creation of records is the ability to create best practice or generic documents for common activities. Now, this point in the webinar, I normally hear a sharp intake a breath from some of you, and I completely recognize the fears and the dangers around generic best practice documents. It’s important if we’re gonna provide generic documents that we still have some form of quality check at the end of the process to ensure that the activity is being carried out to a suitable standard. Now, risk assessments are a great example where generic best practice documents work particularly effectively. So again, assessments can be created for common activities. A local user can then come into the system. They can find an approved record, and that’s denoted by the green tick that we saw a moment ago. And they can use a simple copy function on the drop-down menu to create a new local version. And if I do that here, what you see is that it allows me to take a cross and copy any actions, any attachments, or any policies that have been linked to the original risk assessment. So, again, this allows me then to edit and change the risk assessment once I’ve created it and adding any local conditions. But what it does do is makes life a lot simpler and a lot easier. Most importantly, also it cuts down massively on the admin time being taken to do safety or to create documents. But it also ensures, again, that consistent approach to terminology and to controls. And that will also then reflect in the reporting that comes out of the system at the other end. So, again, across multiple teams, departments, and size, we have a consistent approach. Another benefit is that if we annually create a new version of a risk assessment, copy function makes that very easy and simple process. But also, the important thing to recognize is that the approval process we talked about a moment ago can then be used at a local level with the copy version of the risk assessment to actually ensure that the risk assessment is still suitable and still sufficient. Copy’s a function that’s used throughout the software to aid the creation of consistent records across this disparate organization that we’ve talked about. Now, Simon talked about culture and in his part and I’ve, so far, very much been focused on the main system, which is generally gonna be used by sort of the managerial or supervisory level within the organization. One of the key principles though of effective health and safety is actually that all of us have a responsibility for our own and our colleagues’ health and safety. And actually, if we’re gonna engage and empower people to be involved with safety activities, we need to make it really easy for them to be able to actually interact with this. So we also have an area, if I go up to the top of my screen to another tab here, called an employee portal, and the idea here is that we take the barriers away. So actually, there’s no license, there’s no username, and there’s no password. What we have here then is a controlled area where people can carry out controlled activities. So very simply some of the things that they can do is things like the reporting of incidents or hazards. But, again, when we think about that, if they’re going to report an incident or a hazard, it’s one form that they’re going to use to do that. And, again, if I open up our incident reporting form, this would be tailored by you, for you, and for your organization. But again, you can see that it features that help and guidance that we talked about earlier. So actually, for the people who do this on an infrequent basis, we make it a very easy and simple process. But, again, it’s done consistently. Now, again, when we think about doing things in a consistent manner and best practice, we can also publish our information from the main system to the portal. So we can publish templates out for people to use for things like inspections or assessments. But also, as we create records, we create policies or documents within the main system, those can be published to the portal. So if I go to “Activity Risk Assessment,” for example, I can see a list of risk assessments that are available to me. The critical thing that I know is that there’s a rule in place that actually only approved risk assessments can be published to the portal. So I know that if I open one of these up, I’m reading the latest version of the risk assessment and it’s also an approved version of the risk assessment. So it’s very simple and very easy. Now, final element, just to mention whilst we’re talking about best practice is that simply health and safety doesn’t happen from behind a desk in an office. So all of the activities that we’ve talked about today are available and can be done on a mobile device such as a tablet or a smartphone. And, again, it taps into that generational culture that we talked about during the presentation. Driving improved compliance through elements such as best practice, inconsistency is a massive and challenging subject. And from experience, every organization will have their own slightly sort of unique or different variations on this theme or requirements. And we can spend a lot more time exploring the area. What we want to do today is just finish off by seeing if there are any specific questions that have been prompted during the session and we’ll deal with those. So what I’m gonna do now is hand back to David who should have a list of those questions for us. David: Great stuff. Thank you very much, Julian. But the first question was, what information are people able to share between the two systems, between CIPHR and SHE? Simon: Yeah. I mean, there’s a number of ways we can interface. One of the good ones I think is with from within CIPHR, you can launch the portal that Julian was showing us. You got, you know, an easy way to go between the systems. And then another typical integration I think on every implementation we have, as you can imagine, there’s a need to get a definitive list of our people, employees. We call a person register or an employee register. And that can be a challenge in itself. You know, we’re delighted when they have CIPHR’s at the HR system because that gives us this definitive register. But the key thing is we do the integration. It keeps it refreshed because most organizations these days are fairly dynamic. So you’ve got a churn of joiners and leavers. And so, you know, keeping on top of that, let the systems keep on top of it for you is a real advantage. David: Right. Thank you. And another question is, can software like this be used to manage health and safety for non-employees, such as contractors or volunteers? Julian: I’ll pick up on that, David, it’s a really good question. And I suppose a really relevant question because contractors is a big part of sort of the modern world with jobs and processes being outsourced. So, absolutely. So we looked at an employee portal, but equally, we can have a contractor portal. So where we can do all of these things with our employees, we can do the same things with contractors. So we can do things like prequalification questionnaires on a portal, site access request forms. But then, again, you think about good two-way communication. We can also have sitting on here things like site guidance, site risk assessments, these sorts of things. So that contractors can access them before they come onto site. So absolutely, contractors can interact with the system, and it can be used to manage those contractors effectively. David: Great. Thank you very much. And third question is what visibility of health and safety issues is your software able to provide across the organization? Julian: Yeah, I could probably have expanded on that a lot more. We’re obviously restricted to time today. The system is great for putting information into, but actually, what it’s all about is trying to get information and trends and data out of it. So every module and the homepage within the system features dashboards, so if I scroll down here, you can see that we can start to create dashboards that shows information about things that have been happening across our organization. So for example, we can see types of incidents, we can see which sites have done any risk assessments. Scrolling on down, we can start to look at some positive indicators. So things like hazards so we can prevent incidents happening and we can start to see those by site, by type. So absolutely, what it does is it gives you visibility in terms of the documents that have been created. But also every sort of user, every role can have their own dashboard that displays relevant information that will help them to manage safety more effectively within their area of responsibility. David: Great. Thank you very much. And we had a question, we might have already touched on this. But somebody asked, what information are we able to link to staff records and whether we’re able to link information about disabilities, for example? Julian: Yeah. So within Assure, we have a people area and in there we have the people register. There’s a list of people that Simon talked about and this can be linked into CIPHR. Once that person’s in there, if things have happened, so if they’ve been involved in an incident, if they’ve had training, all of these things can then be seen in a person’s detail view. So actually, I can go into the people register here, I can pick a person…now I’m not sure about how much information is in against these records, but I’ll show you the principle. So if I go detail, what I can do is I can scroll down, I can see any of the information from the people register. But also, you can see that I can see their training records, information about driving licenses. And if they’d been through things like health surveillance or there’s any issues around disability, we can link those things into the person record as well. So it makes it easily available and visible. If there’s a record there, you can see we’ve got a view button that allows us them to drill down into that specific element. And, again, that’s all obviously controlled with sort of confidential viewing rights and permissions. So the only people with the right can see any personal data. Simon: I think the other aspect, Julian, would be that you can take some of those generic workplace risk assessments and apply them specifically to that person if they need any adaptive things in the workplace for them. Julian: So if we think about some of the key issues, disability, stress, maternity, and Simon touched upon all of those can be sort of specific assessments for those areas. David: All right, thank you very much. So that’s all the questions for now. If anyone in the audience thinks of any other questions after the webinar, please feel free to email them through to info@ciphr, which is ciphr.com. And thank you, everyone, for attending and a big thank you to Simon and Julian for their time and their presentation today. Thanks a lot. David Richter from CIPHR and Julian Taylor from SHE Software discuss how health and safety software could improve your compliance with regulations, and boost employee engagement.